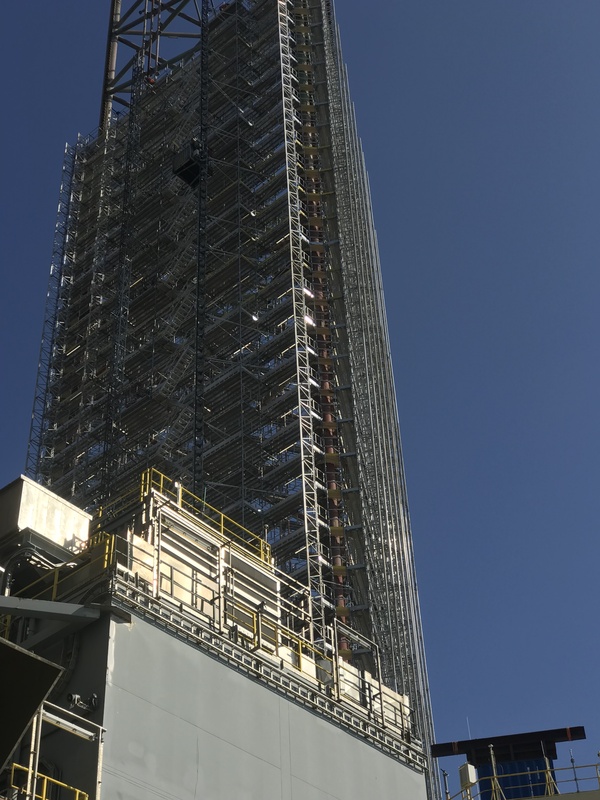 The scaffolding for maintenance work on MÆRSK INSPIRER is supplied by HAKI A/S, in close collaboration with SEMCO MARITIME A/S. 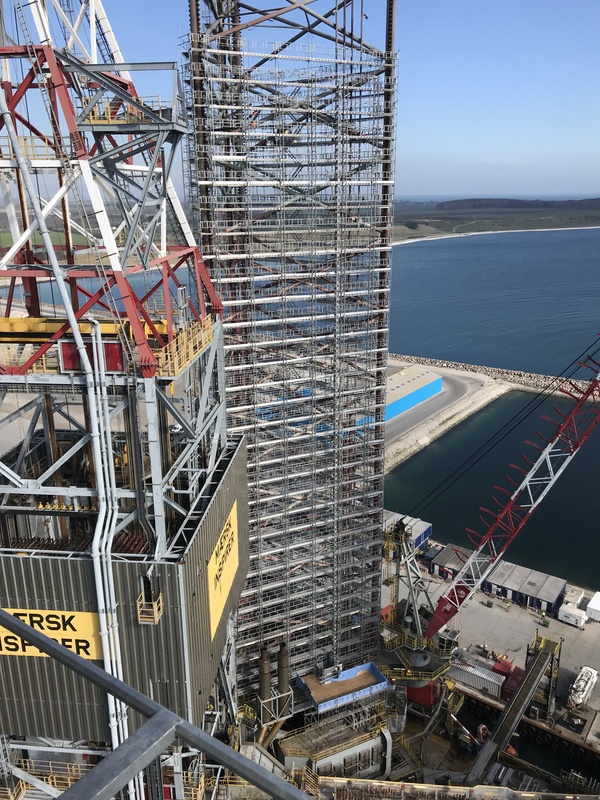 The scaffolding is approximately 60 meters high, with scaffolding on all three legs.There is approximately 390 tons of HAKI scaffolding at MÆRSK INSPIRER right now. 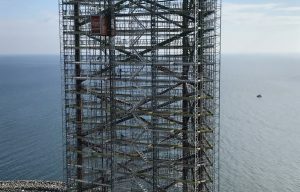 The scaffolding is built in 0.7m width and is reinforced to full height with HAKI’s unique 750 aluminum beam and powerful special attachment to compensate for the high wind pressure at these heights. The scaffolding is calculated to the smallest details. In order to contribute to the creation of a safe workplace, so-called rescue stairs have been established, so that a stretcher can be handled manually on the stairs. 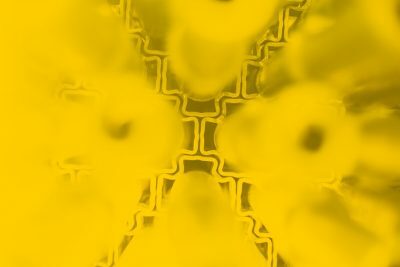 Great cooperation on this huge project.